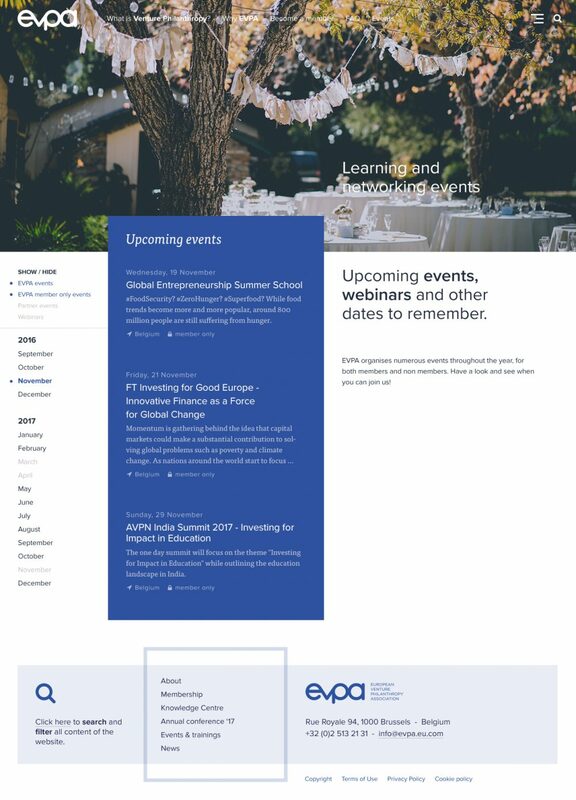 We were tasked to create a new brand identity and a website with loads of advanced front- and back end features. 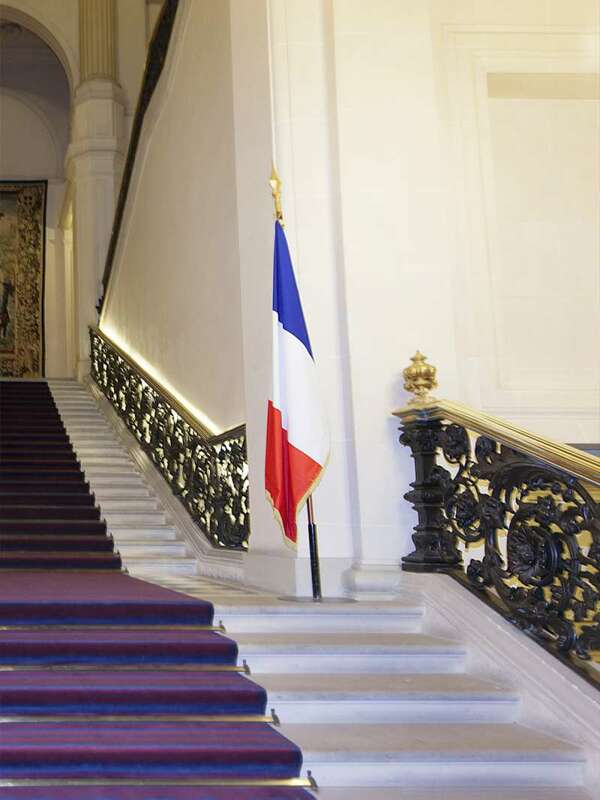 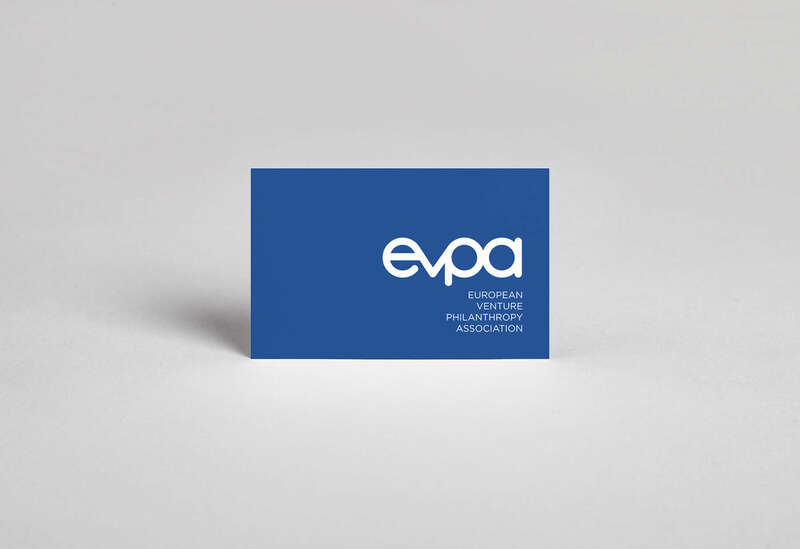 Side fact: the whole project had to be ready before EVPA’s Annual Conference in Paris. 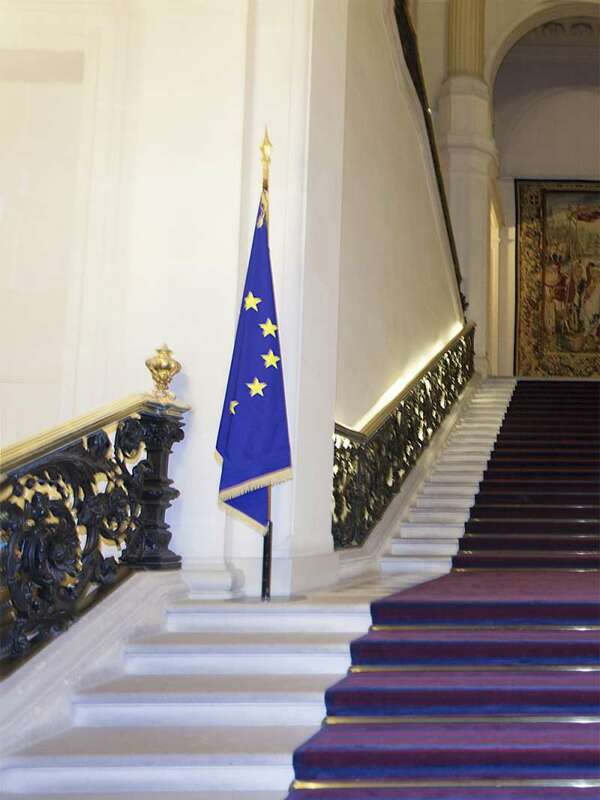 This meant things needed to get done fast. 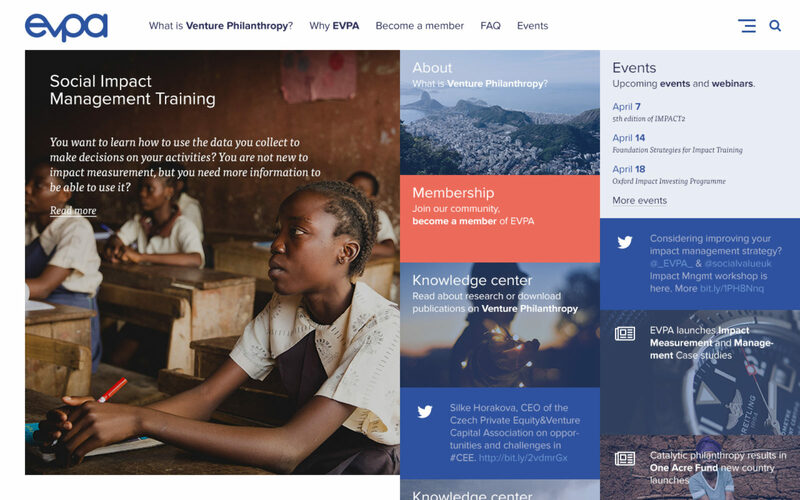 In order to continue to support and build the worldwide venture philanthropy sector, EVPA publishes dozens of cutting-edge publications online each year. 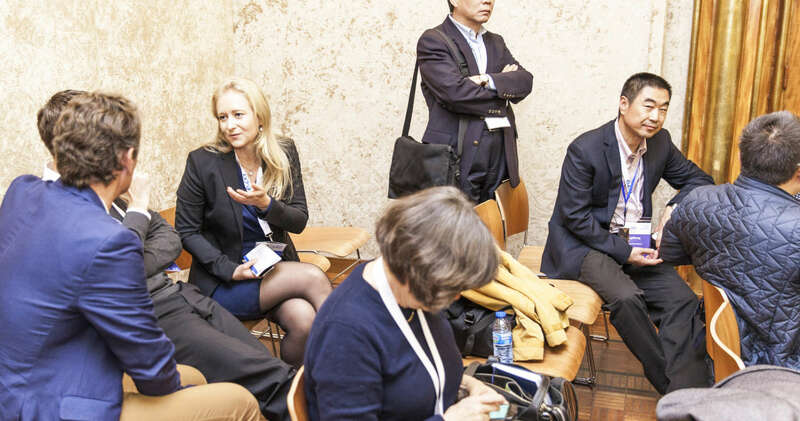 However, analysis shows that these innovative writings have not yet reached their target audience. 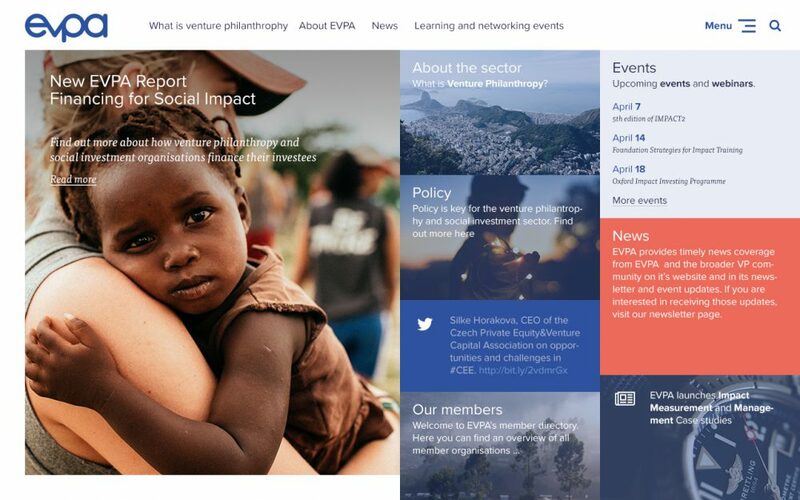 Our challenge was not only to boost brand awareness, but also to stimulate engagement through a growing number of publication downloads, to increase event participation and to facilitate the use of online tools that help people connect and learn. 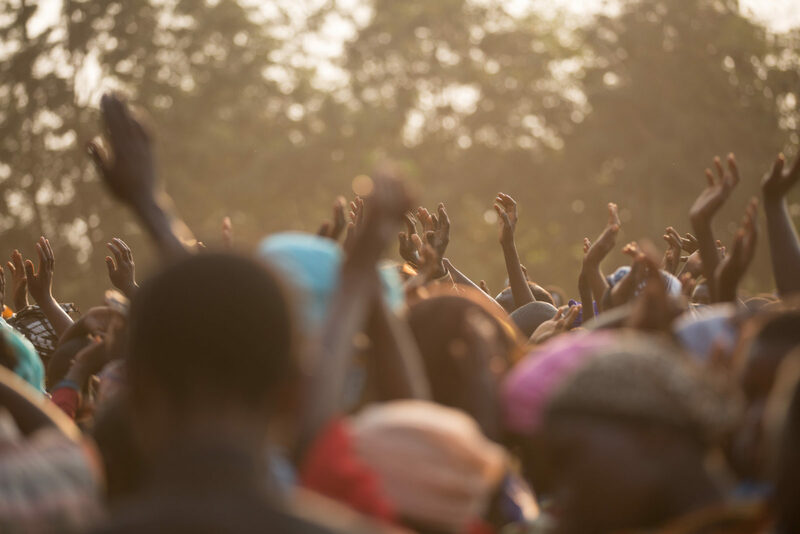 The answer to this complex challenge turned out to be relatively simple: creating a human brand that connects people and initiates user engagement through tailor-made landing pages, online tools and graphic design. 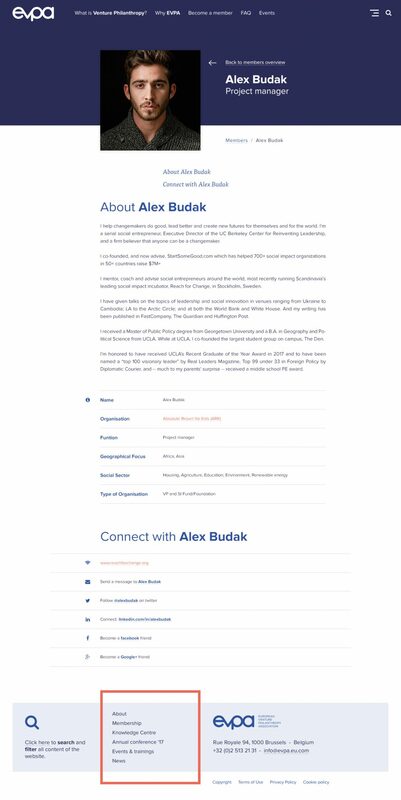 Doing this, we focused on consistency and building a transparent website structure that allows the user to access the right information quickly. 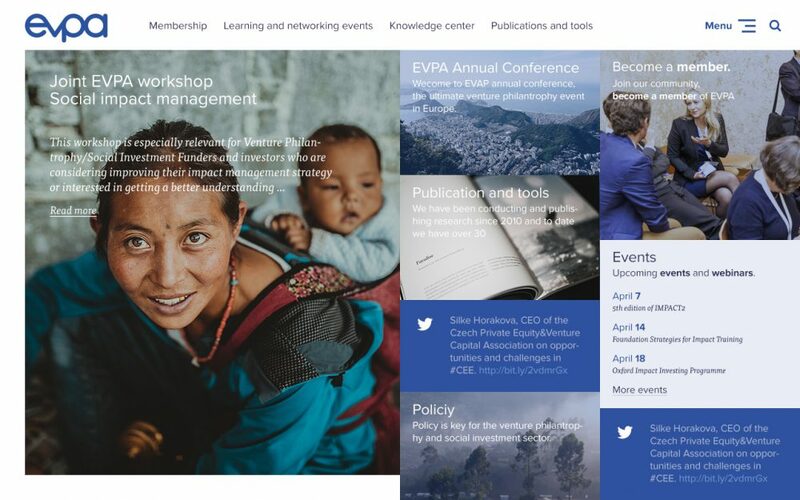 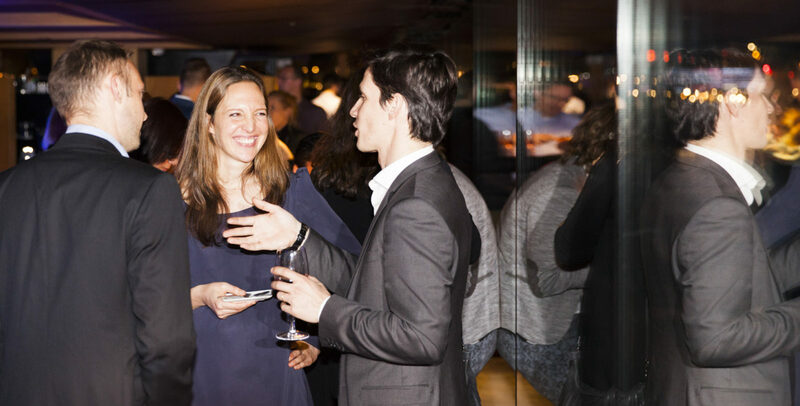 EVPA organises unique events and activities, which offer their members the perfect opportunity to share experiences, help expand their network and discuss best practices. 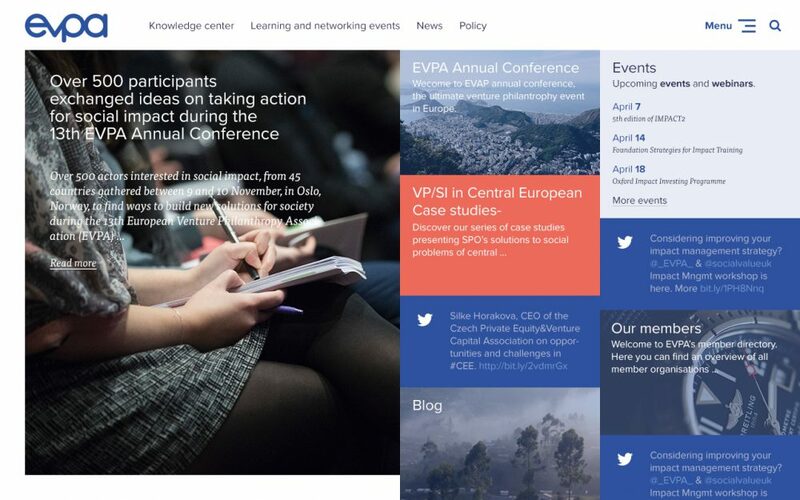 We have now created one clear online interface for all EVPA events, resulting in an increased number of participants. 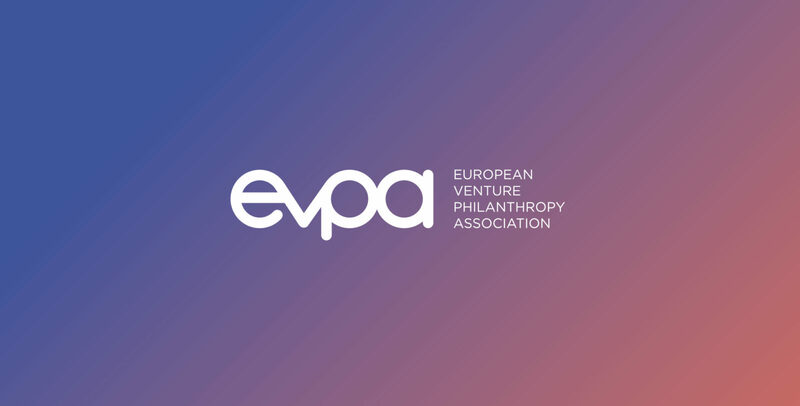 The EVPA member directory facilitates connecting with member organisations, venture philanthropists, social investors and EVPA staff members. 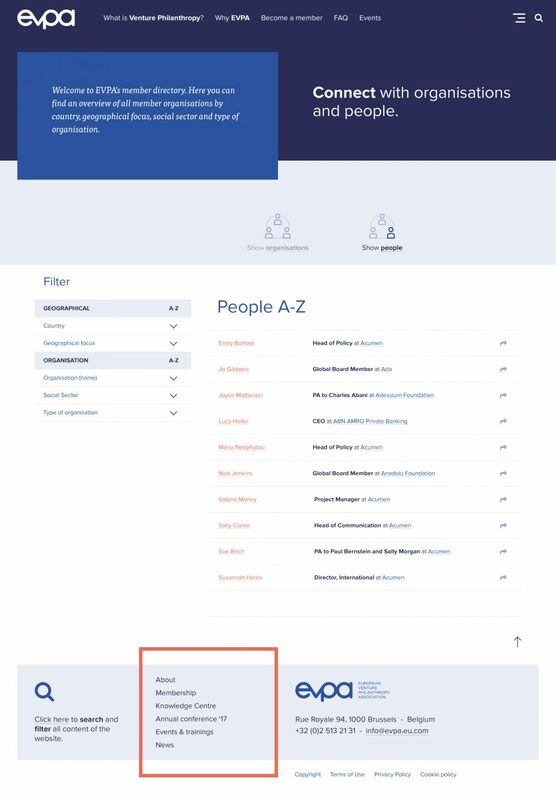 Searches can be done using different parameters such as country, social sector and type of organisation. 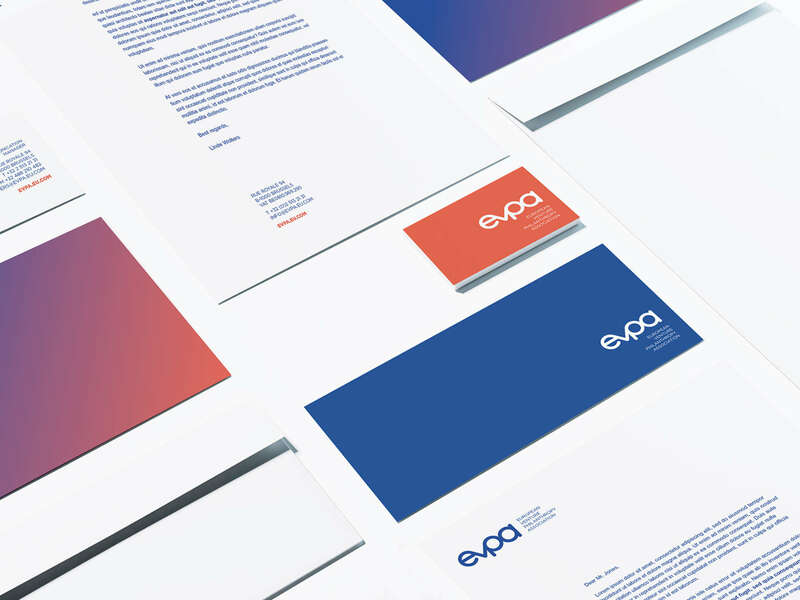 Apart from building a new website, we were happy to construct a completely new brand identity and guidelines, including a logo, digital banners and presentations, flags, business cards, brochures, greeting cards, digital icons, landing pages, newsletters and app screens. 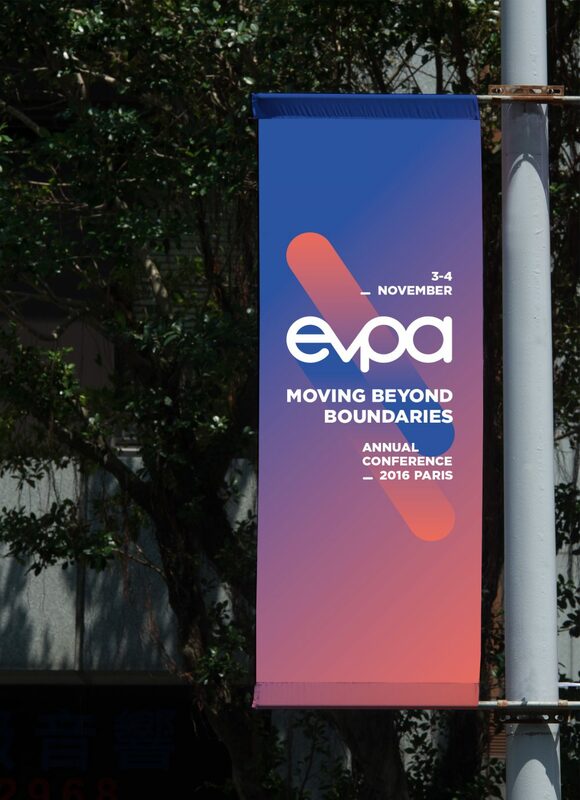 We even designed a huge conference banner, which, because of its size, had to be transported to the Paris in a special truck.